Keep the items you use most often at eye level and within arms reach. Over the course of the month, keep track of disorganized situations and pileups. Does mail commonly find it’s way to the countertops? Is the pantry always messy? Define the problem areas and create solutions for them on a case-by-case basis. Use containers or baskets with labels whenever and wherever possible. 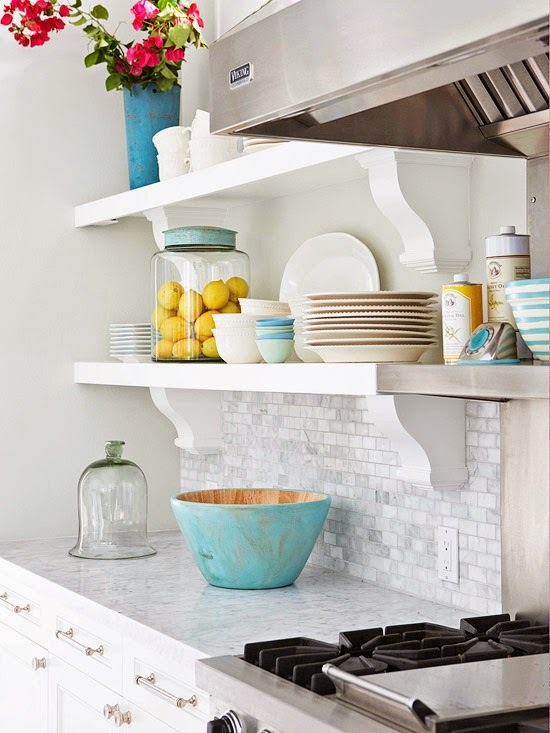 Consider utilizing unused space: Hang a pot rack from the ceiling, attach magazine files to the underside of cabinet ceilings — to store spices and grocery bags — or fill a deep drawer with dividers. Centralize similar items together in cabinets. Assign one for baking equipment, another for mixing bowls, etc. Previous Post History of the Kitchen: The heart of the home?